The two legs of the Spanish super cup ended in victory Real Madrid- the better side of course. Barcelona lost painfully in both legs suffering a 5-1 aggregate defeat at the hands of their arch rivals. Here are 5 major things we learned from the both legs of the Spanish super cup. After winning the UEFA Super cup from Manchester United, and conquering Barcelona both home and away in the Spanish super cup, there is no doubt that Real Madrid are the best football club in Europe, if not the world. The amazing thing is that they accomplished this feat somewhat without Cristiano Ronaldo, their star. This is very obvious. To lose to both legs to Madrid is too bad. 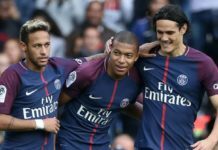 Neymar’s departure has affected the team attacking wise. closes. The attack and midfield were blunt, only Lionel Messi seemed to inspire the team. But the crisis at Barcelona is beyond the ElClasico. The fans are angry with Bartomeu and his board, they want him gone. And these super cup lose fueled that anger. They really need to sort the internal crisis before the new season begins. Marco Asensio is a baller. When he scored the first goal in the first leg, many skeptics called it a lucky strike. But he scored again in the Bernabeu in a similar way. After strings of spectacular performances for Real Madrid last season, he went to the Euro Under 21 championship and played very impressively, scoring a hat trick against Macedonia on his debut. Even Zidane once said that ‘Asensio has the best left leg after Messi’, this lad is really destined for great things. The Welshman was signed to Real Madrid in 2013 for a then record breaking £86 million fee. He was impressive in his first few seasons, but he has consistently been plagued by injuries which has hampered his progress. The emergence of Asensio, Vazquez and Isco has reduced him to the bench to the Los Blancos. He is no longer in Zidane’ starting line up and with his future with the club in doubt, he might end up leaving the club for good. After getting humiliated by Real Madrid am sure many Barcelona supporter would think that there are any positives in the both legs, well, there are. Semedo and Umtiti’s performance were very good. In the first leg Umtiti produced various decent tackles to deny Bale and Benzema from scoring. In the second leg he performed well too. Nelson Semedo performed well in the preseason for barca and in the second leg of the tie. 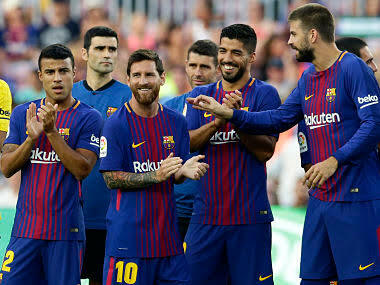 Piqué’s injury against Madrid, Barçelona’s defense improved greatly. He ensured that the right side of the defence was properly protected. The performances of these two defenders are positive that Barcelona can take home from the game. So what did you learn from the match? Any key observations or opinions please comment below.